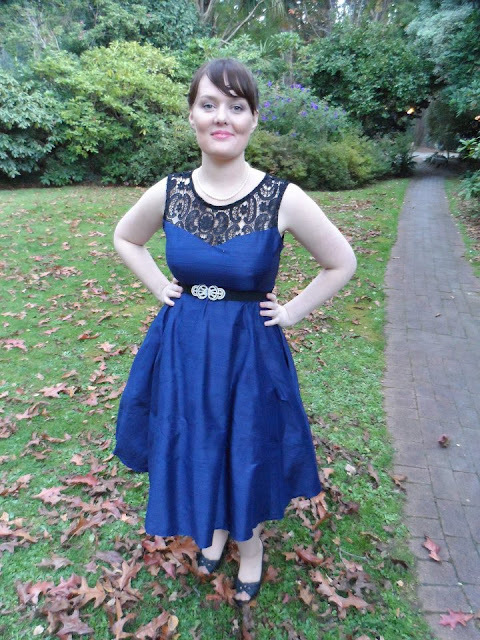 The long Awaited Ava dress (Victory Patterns) Photos and a Review. 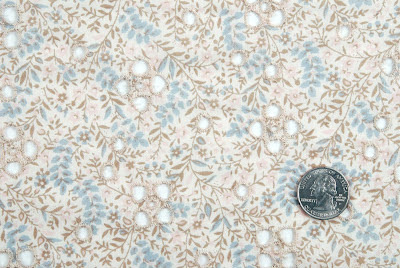 Pattern Description: The garment features a fitted bodice with a side seam zipper that sits just above the natural waist. Hem options allow you to choose between a peplum blouse, a short dress, and a tea length dress. The sweetheart neckline also includes optional pleat detailing along the front and back bodice and a pleated sleeve cap. Choose a sleeveless option, or a pleated or a mini cap sleeve. 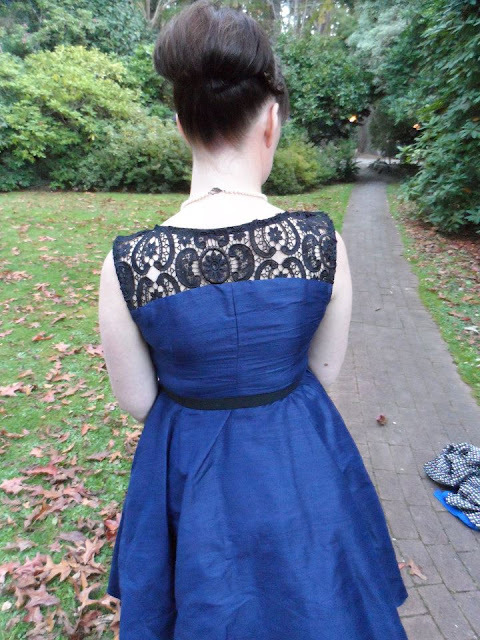 I chose the tea length dress without the sleeves and pleat detailing. Were the instructions easy to follow? Yes, they were straight forward and accurate. 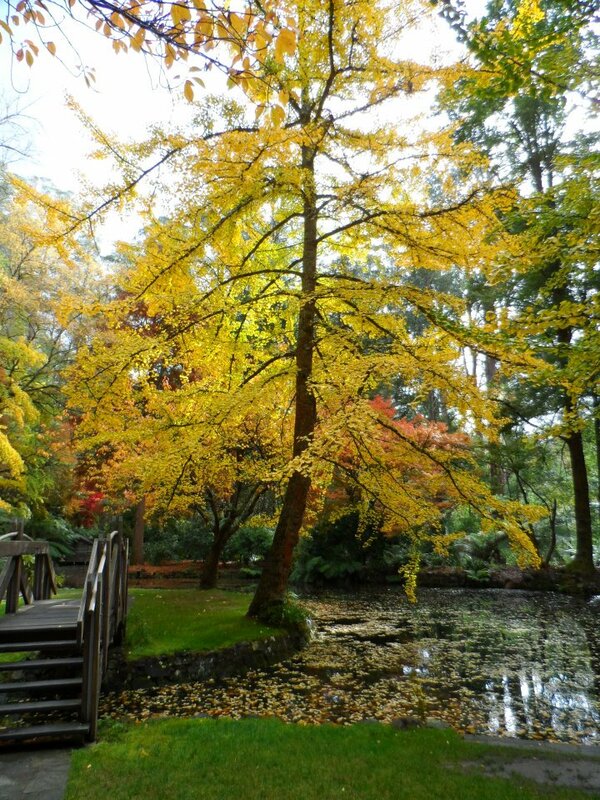 I liked the picture detailing. What did you particularly like or dislike about the pattern? This is very similar to Colette Pattern's Macaroon which just doesn't do it for me style wise, I really like the swing style in the skirt and the multiple options on the bodice, and of course the neckline is super cute. What I disliked was doing on the pattern was a FBA, I understand that not every sewer is well endowed but the big 4 pattern companies make a B cup and I think in this day and age it's slightly unrealistic to make the bust for B cup, but I just hate having to do it every time I want to make something. 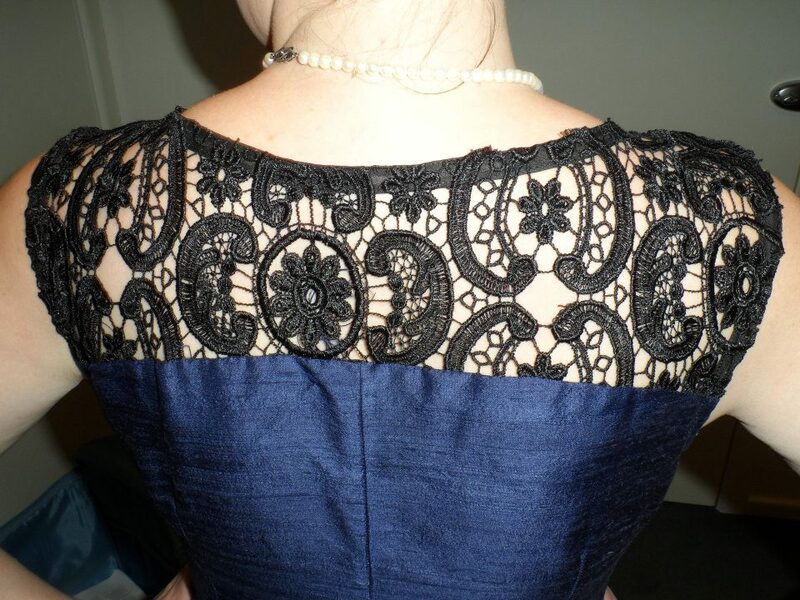 Fabric Used: Navy Silk Dupion from the Silk Trader, and black lace remanent from Darn Cheap. Vintage bias binding from a friend. 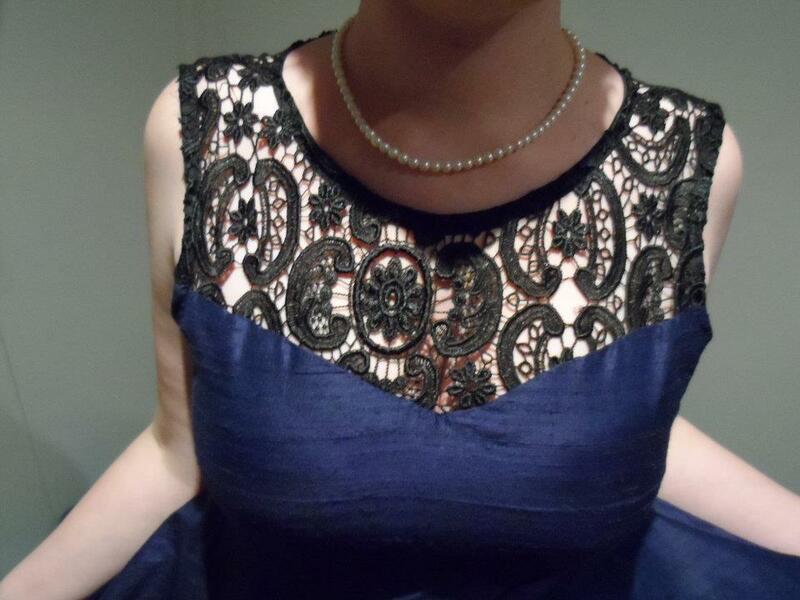 Fabric Cost: Roughly $50 for the silk and $7 for the lace. Bias binding, interfacing and thread from stash/ friend so all were free. Pattern alterations or any design changes you made: I had to make a FBA and a sway back adjustment. I cut the lower back pattern pieces seperatly. Would you sew it again? Would you recommend it to others? Actually I already have, I've made a top, from a very loud print that was destind to be PJ bottoms, so I'm not sure I'll ever wear it but I do have plans to make the short dress and another top for work, I'm just wanting to find some suitable lace for the top section. I would recommend it to everyone, as it could be as simple and classic or dressy and detailed. Conclusion: I love this pattern I think it was well worth the time taping the pattern together. It was quite any easy project, although I had doubts about my skills with the bias binding, until I worked out how easy it is! Bias binding forever! I taped, traced and cut over 2 and a half days. I started sewing I got half way and left it for two weeks then banged it out in over 3 evenings and a morning. 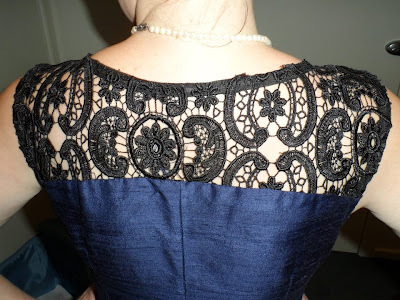 I was fiddling with the neckline the morning of the wedding. If you're a fast sewer you could make this in a day or two. I love this dress, it's flattering with or without a petticoat, it something I know I'll wear again to other parties and weddings coming up. This is a good classic pattern, that's a bit of fun and quite easy to sew. 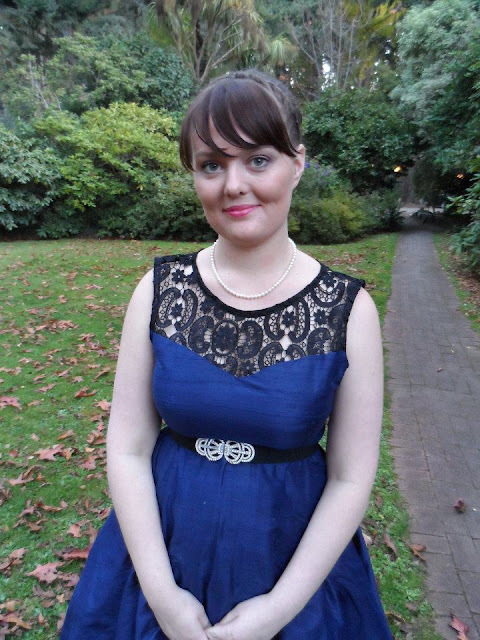 I loved my hair that day, although my fringe needed a cut. Crushing on Marc Jacobs and shipping costs. I found some beautiful eyelet- its all the rage in the US and the warmer climates at the moment, I was thinking of making a sweet but work approiate dress out of this eyelet. I asked Mood Fabrics via their website for a shipping quote on this Marc Jacobs eyelet and almost fell off my chair when I got the email back. It was $220-$240 USD! Now admittedly I also put in 3 yards of dotted swiss/cotton and 3 ponte which I put in for the sake of it but geeze golly whiz batman for 9 yards, thats ridiculous! I asked what was the cheapest option and Christina told me that was it! Meg then contacted me saying once they get there new website up and running the cost may be lower. While I'm looking forward to the new site its at least 6 months away, and pretty fabric doesn't stick around that long. What would the highest you would ever pay for shipping? Taken at Alfred Nichols Garden. What a crazy 3 weeks it been since I last posted. I had a lovely birthday, I was completely spoilt by my friends and family and there were a few surprises on the weekend! I felt pretty sore after a rough couple of games of Dodgem carts but it was so much fun! I was shocked with my presents but it was a good shocked, my in laws were very generous, giving me a wrought iron and; timber bench seat they painted it blue just for me, I also received a cross-stitch Christmas tree, which compliments my Amish cross-stitch which my mother in law made for our house warming. I really love embroidery as long as I don’t have to do it! Sewing wise I received the Colette Pattern handbook, and it is really lovely. The few times I have read it I have learnt new things. I can’t wait to get started onto the patterns although I’m going to make Chantilly, Rooibos and Crepe first, as I’ve had them the longest. I still haven’t received my present from my sister although I know it will be a Cloth Shop voucher, I’m going to wait till mid-June to spend it as I don’t want to fall off the ban wagon. 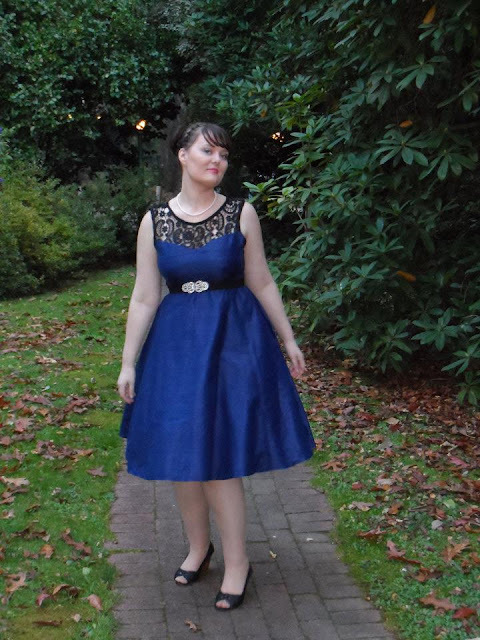 We have 3 classes of sewing left till the end of the term and I’m determined to finish simplicity 2444 even if it kills me! I started it about a week before my birthday, but didn't get it finished in time. I thought I would relax and enjoy my birthday rather than bust a gut getting the dress done. I love the pattern and I love the bright yellow fabric but I’m just not feeling it with this dress, I think I have to move away from Cotton Sateen yet saying that I have at least 40 metres of it, maybe I should sell some of it on eBay? The next dress I'm going to work on a long sleeve knit dress next as I don’t have any long sleeve dresses and with this cold weather hanging around I know I’ll need one or five! I'm thinking McCall's 5974 would fit what I want.